This identification guide on the pterodroma petrels of the North Atlantic is the culmination of many years of at-sea observations by the authors. It is the second in what is planned to be a four-part series on regular and vagrant bird species of the North Atlantic. 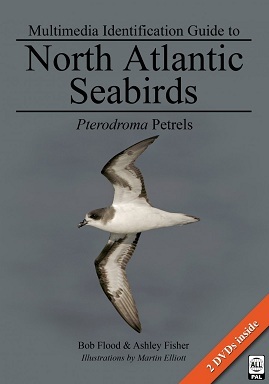 Species/taxa covered: Trindade Petrel, Kermadec Petrel, Atlantic Petrel, Great-winged Petrel, Bermuda Petrel, Black-capped Petrel, Soft-plumaged Petrel, Cape Verde (Fea's) Petrel, Desertas (Fea's Petrel) and Zino's Petrel. The DVDs follow the contents of the book, allowing cross-referencing and form an excellent preparation for a seawatch or a pelagic trip. The DVDs are in PAL format (multi-regional).